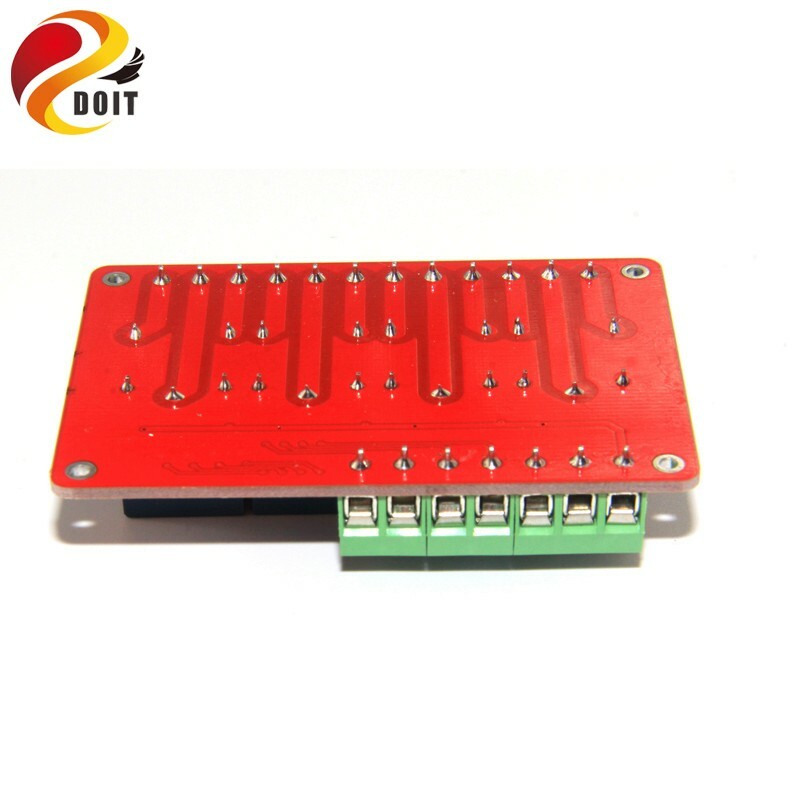 This product is a standard two-way 4 road relay control module. 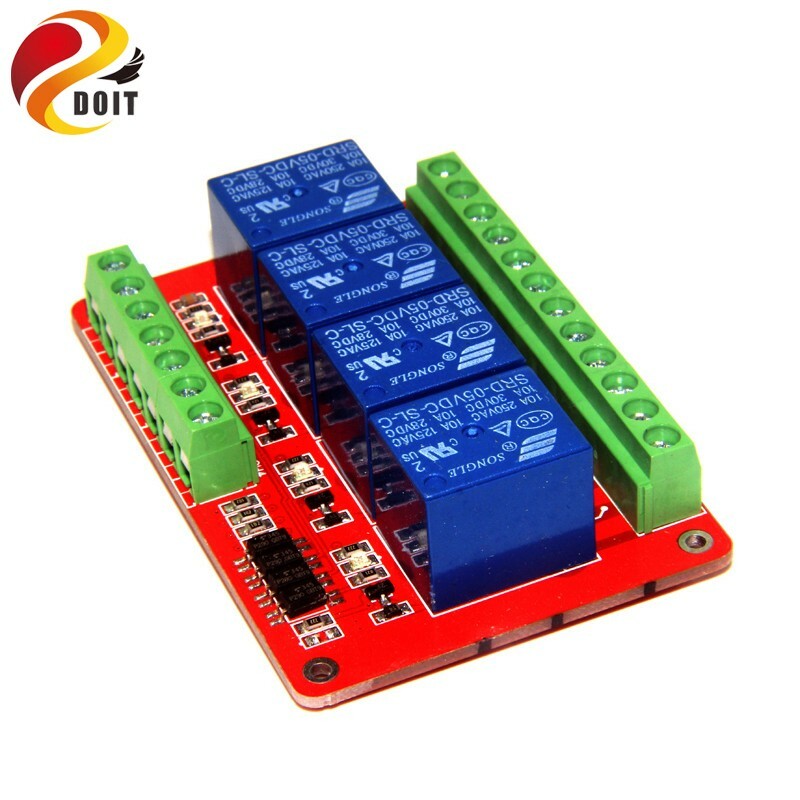 It contains a high quality relay, a high pressure endurance dynatron, signal lights in red and blue, and a military standard double sides PCB board. The structure is well designed and the function is reliable. This relay can be used widely in all kinds of power control situations. VERF: photo electric isolated control end, similar to ground end. Connect to the negative power end if controlling with higher level. If VERF is connected with the negative end, relay operates when this end is in higher level. If VERF is connected with the positive end, relay operates when this end is in lower level. NO1-NO4: relay normally opened end connects with COM when relay operates. NC1-NC4: relay cormally closed end connects with COM when relay is not working.